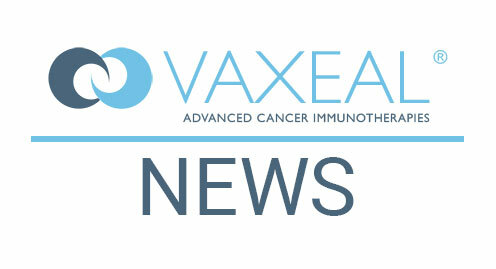 Vevey, 3 January, 2018 : Vaxeal Holding SA announced today that it is collaborating with GeoVax Labs, Inc. (OTCQB: GOVX) on the expansion of Vaxeal’s cancer immunotherapy program. GeoVax’s immuno-oncology program is based on its Modified Vaccinia Ankara (MVA) Virus-Like Particle (VLP) platform, which generates noninfectious VLPs in the individual being vaccinated. Gene sequences of target antigens are inserted into the MVA genome which drives their expression in infected cells. The collaboration between GeoVax and Vaxeal will include the design, construction, characterization and animal testing of vaccine candidates using GeoVax’s MVA-VLP vaccine platform. Vaccine antigens will include Vaxeal’s proprietary designed sequences. Vaxeal Holding SA is headquartered in Vevey, Switzerland. The company, in partnership with leading international research institutes, is developing therapeutic vaccines in combination with immuno-modulatory drugs for the treatment of cancers and infectious diseases. The cutting-edge immunotherapies are protected by several patent families and initial programs have reached the pre-clinical stage in major disease segments. Visit www.vaxeal.net for more information. GeoVax Labs, Inc., is a clinical-stage biotechnology company developing human vaccines against infectious diseases using its MVA-VLP vaccine platforms. The Company’s HIV vaccine for the clade B epidemic in the Americas, Australia, Japan and Europe is advancing in human trials conducted by the HVTN. Preclinical programs are focused on preventive vaccines for Zika virus, hemorrhagic fever viruses (Ebola, Sudan, Marburg, and Lassa), and malaria, as well as therapeutic vaccines for HIV, chronic Hepatitis B infections and cancers. GeoVax’s vaccine platform supports in vivo production of non-infectious VLPs from the cells of the very person receiving the vaccine, mimicking a natural infection and effectively stimulating both the humoral and cellular arms of the immune system to recognize, prevent, and control the target infection. For more information, visitwww.geovax.com.